Twitch Prime users can get one year of Nintendo Switch Online free starting today. Twitch Prime users have a lot of reasons to celebrate right now. 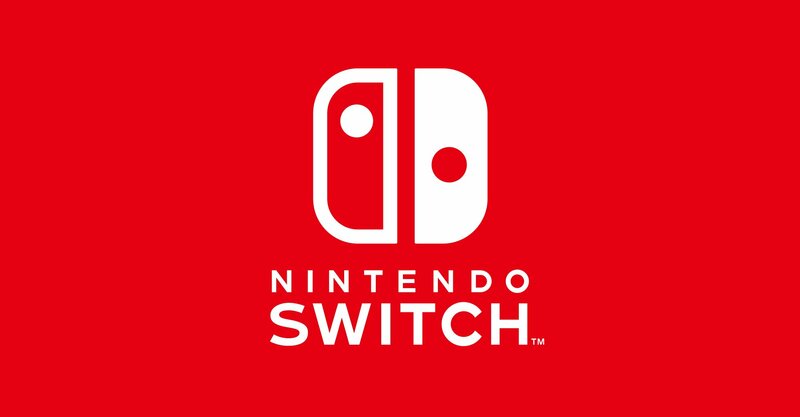 While the streaming giant’s subscribers are always getting free goodies like games and in-game loot, Nintendo is spicing things up a bit with a chance to get up to one year of Nintendo Switch Online completely free. Spotted by Wario64, a well-known Twitter user who shares gaming news quite a bit, the Nintendo Switch Online prime deal gives users two great ways to add on to their Switch with free access to their online services. To claim your year of Nintendo Switch Online you’ll need to hear over to the Twitch Prime website, where you’ll be able log into your Twitch account and grab the offer. Once you’ve signed in, you can claim the first option, which gives you 3 months of Nintendo Switch Online for free. If you’d like to claim the other 9 months offer, you’ll need to keep Twitch Prime for 60 days. When those 60 days are up, you can then return to this page and claim the other part of the offer. In total, this gives you the chance to claim a year of Nintendo Switch Online without having to pay a dime. Before you start claiming the offers, though, there are a couple of things to make note of. First, you’ll only be able to stack the offers on top of an individual account. This means that users who have a Nintendo Switch Online Family Membership will be a bit out of luck when it comes to adding to their current plan. 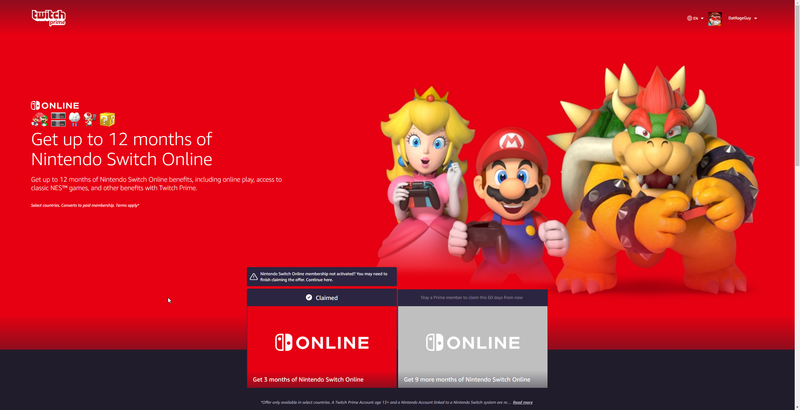 You’ll also need to provide payment information for Nintendo Switch Online in some countries, as the service is set to automatically renew after the free period ends. There are, of course, a few other things that users might want to know about the offer, and Twitch has provided a very nifty FAQ section on the page where you redeem your offer, so make sure you check it out if you have any other questions.